I've been looking at these lately...they are too beautiful to keep to myself. 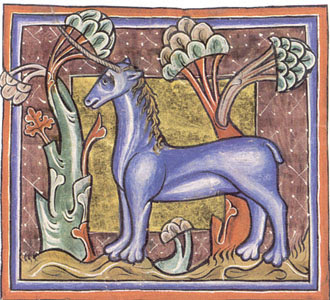 From the Oxbow Books site, depicting a unicorn from the "Book of Beasts". According to the website, this was a "curious medieval genre" of Biblical illustrations.